Life insurance is not a one price fits all product. Companies use rate classes to determine rates. If you qualify for the preferred rate class, you get a preferred or low insurance rate. So how can you get to the head of the rate class? The cost of insurance greatly depends on type. Term life insurance is initially cheaper than whole life insurance. More on that later, with a lifecycle comparison. The rate class factors discussed here apply to both types. The answer centers on risk. All life insurance companies use underwriting guidelines to determine insurance rates on an individual basis. These guidelines factor in risks that an individual may have that will increase the chance of a premature death. Premature death plays a key role in life insurance. Why? Remember: you're taking out a policy for a certain amount of guaranteed death benefits. The premiums you pay do not cover that amount until you have been paying them for some time. That means the life insurance company is taking on the risk until your premiums meet the guaranteed death benefits. If you're a high-risk person, your premiums are going to be set higher so you can reach the guaranteed amount of your policy sooner. What Are the Underwriting Guidelines for Life Insurance? Life insurance companies have developed algorithms that show common trends among people in various lifestyle categories. They put these trends into rate classes that are used to determine your risk and policy cost. Age is a major factor when calculating the cost of life insurance. The younger you are, the less you will pay for life insurance. If you buy life insurance in your 40s, the rates increase 5-8% every year. If you buy life insurance in your 50s or older, the rates increase nine to 12% each year. Term life insurance for a 45-year-old male is $16.93 a month for $250,000 in coverage. Term life insurance for a 45-year-old female is $15.25 a month for $250,000 in coverage. A similar rate difference occurs with whole life insurance policies. Besides age, your health plays a key factor in determining your life insurance rate. This is especially true in regards to pre-existing conditions. Most life insurance companies require a medical exam as part of the application for insurance. The insurer pays for the exam, regardless of whether you buy a policy. Older people may undergo additional tests, such as an EKG or a cognitive screening. Assign you to a rate class based on your age, health and other factors. Tim is a healthy 45-year-old male buying a 10-year term life insurance policy with $250,000 in coverage. Because of his good health, he qualifies for the insurer's most preferred monthly rate of $16.77. Steve is also 45 years old, but not so healthy. He has high blood pressure and is overweight. Therefore, he falls under the insurer's standard rate class, which is $30.74 a month for the same 10-year, $250,000 term life insurance policy. In this health comparison example, Steve is paying $13.97 more each month ($167.64 each year) than a healthy male of the same age. Medical conditions like cancer, diabetes, HIV, or other serious illnesses won't necessarily disqualify you from life insurance or make rates unaffordable. If your health condition is under control or the prognosis is good with treatment, your life insurance rate may not cost that much more. Smokers fall into a high-risk rate category, which means a higher premium. If you quit smoking after your life insurance policy has been issued, ask your insurer to re-evaluate your policy's rate. It could be a substantial decrease, typically as high as 25%. A 40-year-old man who smokes and is in average health pays $60.84 a month for a $250,000 10-year term life insurance policy. By comparison, if that same man didn't smoke, he would pay only $20.86 a month. This category includes your job and hobbies. If you work in a dangerous occupation or take part in risky hobbies, you can expect to pay more for life insurance because your risk of dying prematurely increases. Life insurance companies rely on statistics from various sources to determine the number of fatalities that occur each year in an occupation and activity. They then create a list of the top high-risk jobs and hobbies. You face severe penalties if you don't reveal your risky activities when applying for life insurance. Insurance companies can lower, or flat out deny claims if you lie to them about risky activities. There's no point in paying for life insurance if you're going to lie or not provide all of the necessary information. How Do Underwriting Guidelines Translate into Rate Classes? Insurance companies typically have anywhere from 12 to 20 rate classes, which are further divided into nonsmoker and smoker classes. Each class is designated by rating labels like most preferred, preferred, high standard, standard, etc. The fewer of the most preferred health requirements you meet, the more your life insurance will cost. How Can I Save on My Life Insurance Rates? You can do several things to save on your life insurance rates. Buy life insurance between the ages of 18 and 30. That's when the cost of insurance is the lowest, whether you buy term life insurance or whole life insurance. Joe is a healthy 29-year-old buying a 20-year term life insurance policy with a $500,000 death benefit. His annual premium is $430. Bob is a healthy 50-year-old buying the same policy as Joe. His annual premium is $1,300. Bill is a healthy 65-year-old also buying the same policy. His annual premium is $7,300. Jim is a healthy 30-year-old buying a whole life insurance policy with a $500,000 death benefit. His annual premium is $4,400. However, that premium is fixed and will not increase as he ages. Additionally, part of his annual premium is being put into an investment portion of his policy to use as he wishes. Check the rates of different insurance companies. The underwriting process differs from insurer to insurer. Not all of them apply the same level of risk to certain health issues. If buying term insurance, buy a long enough term that will take you well into your later life. With term insurance, the rates increase with age. The younger you are, the less you pay. Sally is 30 years old. She takes out a 20-year term life insurance policy with $100,000 in death benefits for $12.47 per month. When her term expires at age 50, she renews it. But this time, her monthly premium is $28.29 because she's older. When she renews again in 20 years at age 70, her monthly premium will be $216.41. With term life, plan your terms accordingly. Ideally, you want the term to come up for renewal in your middle-aged years. That way, it should take you through your later years without extremely high renewal rates. The maximum for most term life insurance policies is 30 years. Consider a whole life insurance policy for permanent, lifetime coverage at a fixed rate. If you're a smoker, quit. If you quit smoking cigarettes or using tobacco or marijuana products, you'll reduce your life insurance cost by at least 25%. Take measures to improve your health. If you take measures to maintain a healthy lifestyle, such as lowering your weight, cholesterol, or blood pressure, you can lower your insurance premiums as well. If you take actions that improve your health, contact your life insurance company and request a medical re-evaluation after one year. The changes could result in lower premiums. Pay your premiums yearly instead of monthly. It's easier to budget and pay your life insurance payments on a monthly basis. But you're actually paying more overall. Most insurers charge a service fee or administration fee to process your monthly payment. This fee increases the amount of your premium each month. Rather than paying 12 monthly service fees, lower your premium by paying a single annual rate. You can still budget each month for the yearly amount by simply putting aside the money in a savings account and not touching it until your bill is due. The difference between the cost of term life insurance and whole life insurance is about $250 a month. But that difference gets smaller as you age. With term life insurance, the cost advantage only occurs if you purchase a policy before age 35. Take a look at the annual cost of a $250,000 life insurance policy for Michael at age 25. Now, take a look at the annual cost of the same $250,000 life insurance policy for Michael at age 55. Things To Keep In Mind. 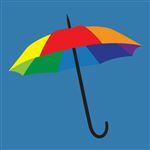 With term life insurance, you're paying for death benefits only: With whole life insurance, part of your premium goes to death benefits, the other into a savings plan. With term insurance, when the term is up, your benefits end: Whole life insurance does not expire. With whole life, you're building a nest egg: With term insurance, you have to invest for your future on your own. If you renew or get a new term policy later in life, the rates are higher because you're older. 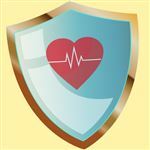 Weighing the short-term cost advantage of term insurance with the long-term benefits of whole life comes down to personal preference. If you only want death benefits and have the discipline to save on your own, then term might be a good fit. But if you want a policy that provides both, then whole life insurance is worth looking into. Where Can I Find the Best Rates for Life Insurance? It's important to shop around for the best life insurance rates. Underwriting guidelines vary among life insurance companies, with some accepting more risk than others. Additionally, preferred and standard rates differ among companies. Your Current Auto or Home Insurance Agent: If the company also offers life insurance, you might get a better rate through a multi-policy discount. Independent agents: You can compare quotes to find the best policy for you. Life insurance costs are based on many risk factors, with two big ones being your age and health. However, you can take action to lower your risk factors and ensure you receive the lowest life insurance rate. To find the best life insurance rate, do extensive research and get plenty of quotes to compare. This way, you can make an educated decision on the best coverage for you. Leave a comment about How Much Does Life Insurance Cost? It can cost as little as $30,000 or as much as $130,000 to climb Mt. Everest. It depends on a variety of factors, including where and how you climb. 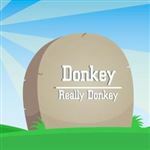 CreditDonkey is a life insurance comparison website. We publish data-driven analysis to help you save money & make savvy decisions. Share on Facebook "How Much Does Life Insurance Cost?"